The holidays are coming fast — while birthdays, anniversaries, graduations, and the like come up year-round. If you're looking to give something practical and thoughtful to the recent college graduate in your life, you can't go wrong with anything on this list. Here's our guide for giving gifts to that 20-something that you know. If you still have one in college, check out our Gift Guide For College Students here. Cookbooks for Eating . . .
Every twenty-something needs to be able to mend some basic things at home. You can get very elaborate tool kits, but this super cheap one from IKEA would make a great stocking stuffer. It has a hammer that can also be used as a mallet; an adjustable wrench; pliers; a screwdriver with swappable slotted, cross-head, and hex bits; and even an awl. Look, we all know that buying a latte every now and again is not going to lead to living in a van down by the river. On the other hand, it can't hurt to make delicious iced coffee at home more often. Some online instructions involve mason jars and filters. That system works fine, but can be a little complicated. Owning a dedicated coffee maker is a good idea to streamline the process, and this one by Takeya is inexpensive, nice-looking, and incredibly easy to use. Bonus: You can also use the coffee concentrate it brews to make hot coffee if you want. Maybe include a bag of excellent coffee beans, such as one from this roundup. As one of my friends said when suggesting this, if you have a skillet and a few essential utensils, you can feed yourself three meals a day forever! Cast-iron skillets are cheap and they really do hold up almost literally forever. I am still using one that originally belonged to my grandmother's great-aunt, which if you're counting makes it somewhere around 100 years old. Not bad for something you can buy for $15 — that's 15 American dollars. If you want to get a little more comprehensive, add a set of utensils — like this 10-piece stainless set or this 6-piece bamboo set. This kind of gift isn't appropriate for everyone — some twenty-somethings won't cook much at all, and it's on the expensive side — but if you're a parent looking to help your twenty-something furnish a real apartment, you might consider helping out with real pots and pans, not the kind you buy for a few bucks at Goodwill or the ultracheap sets at Walmart. Good pots and pans are heavier, and not only last longer, but will also make you a better cook — it's much harder to burn things in a heavier pan, for example. My personal favorite at the intersection of quality and price is Calphalon Tri-Ply Stainless — I linked to a big 13-piece set there to show the range available, but you can buy individual pots or pans from this set too, of course. You do not want your twenty-something cutting up the counters of her rental and losing the security deposit — and cooking will be much more enjoyable if she has a sharp knife. This John Boos cutting board is gorgeous, not too expensive, and will last her entire life. An inexpensive, easy-to-use handheld knife sharpener makes a great addition. To round out the cooking-related suggestions here, the Instant Pot has taken the world by storm the last few years. It's a multifunctional pot, which has a slow-cooker function for people who want to leave dinner cooking all day while they're at work, but also a pressure-cooker function for people who forgot to set up the slow cooker and prefer to get beans, grains, meat, and other food cooked fast. You can even make yogurt in it if you want to impress your back-to-the-land DIY friends. 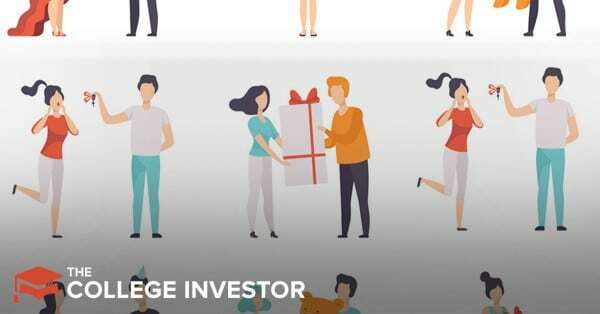 If you're on this website looking for gifts for your twenty-something friends, odds are you agree that people should learn to get their finances together. There are a variety of free resources out there, of course, but a great buy would be the Bravely Values Based Budgeting Workbook. It's $20 (tax included) and includes an eight-chapter workbook that helps your giftee identify his or her values and goals and work out a budget that's appropriate to them. It also comes with two spreadsheets: a monthly spending tracker and a customizable budget. This is a downloadable resource; you can either pass it on as is to your twenty-something friend or relative who resists all paper, or print out the workbook and make a nice cover for it the way you did when you handed in big reports in high school. Okay, your twenty-something friend probably gets most of his news from social media. But that's . . . not necessarily a great idea. If your twenty-something lives in an apartment building, he's probably hauling laundry to the laundromat or laundry room and doesn't especially want to bring along a big box or jug of detergent. Dropps offers eco-friendly pods compatible with every kind of washer (HE, standard, and front- or top-loading) in two sizes: regular and mini. They're highly portable. As a bonus, the box they come in is recyclable or will degrade, unlike the giant plastic jugs that usually end up in landfills. You can also buy dishwasher detergent from Dropps, by the way. Zojirushi is a Japanese brand whose coffee mugs have recently taken the world by storm — and they are really that good. I brought one home a few months ago and not only do I love it but my friends keep asking me about it because it just looks that great. Coffee stays hot for at least six hours in my experience and it comes in a range of pretty colors: powdered stainless finishes from light pink to black. If your twenty-something is just getting going on home cooking, try Mark Bittman's now classic How to Cook Everything or, if it's more appropriate, How to Cook Everything Vegetarian. Or go even more minimalist with How to Cook Everything The Basics, which includes tons of photos and discussion of basic technique. The Everything Bartender's Book covers all kinds of mixed drinks. Teetotaler? Try Clare Liardet's Dry for a great collection of "mocktails" and other non-alcoholic but very fancy drinks. To either, you could add a basic bartender's kit — a cocktail shaker and some helpful tools to go along with it. If you know a young adult who's starting to grow out of the throwaway-housewares phase, nice sheets and towels are probably a splurge they wouldn't get for themselves, but would be gifts they'd love. Brooklinen has great, accessibly priced "core sets" that include a flat sheet, a fitted sheet, and two pillowcases in several sizes: twin, full, queen, king, and California king. If you're interested in something a bit pricier and fancier, Eileen Fisher has a wonderful line of bedding and towels sold through Garnet Hill. This is another item everyone wants and not everyone feels able to splurge on. I still haven't gotten a decent set of speakers! (Mom and dad, if you're reading this . . .) Wirecutter rounds up reviews of multiple types of speakers, including Bluetooth, portable, soundbar, and more, here. There are lots of tools available to hold your phone securely to the dash within your line of sight. This one uses a suction cup and is adjustable to different phone sizes, while this one uses magnets — you can attach magnets to multiple family phones to allow everyone to easily use the dash mount. Nobody ever wants to think about this, though everyone kind of knows they should have one . . .
Buy an all-in-one kit like this for their car. It includes a flashlight and batteries, jumper cables, a screwdriver, duct tape, a poncho, a first-aid kit, cable ties, and more. For the house, there are a lot of sizes of first-aid kits available, but this one probably meets most immediate needs, and includes a mini bag to take hiking or traveling. It's on the expensive side, but it could save a lot of time and money in the long run. When I was in my 20s in New York, I lived through one apartment building fire, one hurricane-induced flood, and one burglary — and though I more or less survived all of it, I really wish I'd had this safe that measures 1.3 cubic feet to keep electronics, passports, money, and other important items safe. You might have heard somewhere that cash is king, and we are not here to dispute that. No twenty-something is ever going to be anything but grateful for $20 slipped into a card. However, if you want to get a little fancier, there are almost infinite "cash-like" gifts that you can give. One option would be to deposit the cash in an IRA (help them set it up if needed). Another would be to help them splurge on something they wouldn't necessarily spend money on themselves. Ideas going well beyond a Target gift card might include: a museum membership, a Costco membership, a 10-class pass for a yoga or fitness studio, tickets to a sports game or concert, a gift certificate for a fancy restaurant (if you do this, make sure you include enough to cover dinner and a drink for two), and a membership in a national or local charity. Obviously, you should be sure that your giftee will actually enjoy whatever you get them; if you recently had a conversation where they talked about how much they hate exercise, the yoga class pass might not be a great idea. If you're in the dark about your giftee's tastes, you can always either give straight-up cash, or just ask what he or she could use help with this month — perhaps the rent? A new coat? Shoes for that half marathon she's training for?